P-38010 A FINE MAYA STONE HACHA IN THE FORM OF A JAGUAR HEAD LATE CLASSIC, CA. A.D. 550-950. Pacific Slope Region, found in El Salvador. 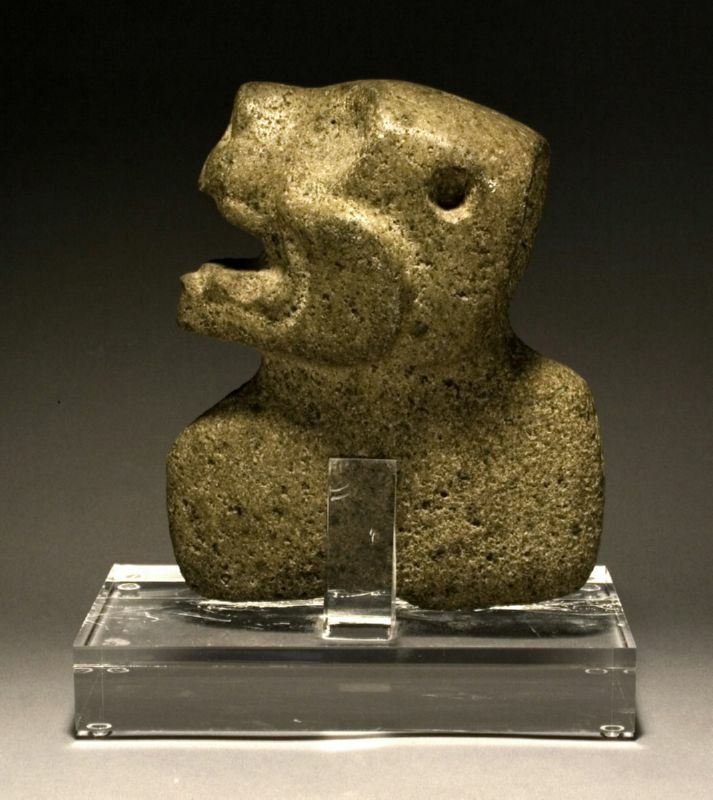 This jaguar head is of three dimensional form, with open mouth and teeth bared. The deep-set eye sockets may have had inlays at one time, and three drill holes suggest former attachments. Beautiful patina is evident on most of the head. There is a modern inscription written along the base: San Jose-La Granjo Retalhuleu.